Giving up or Letting Go? A hurting mother recently said to me, “I have no hope that my son will ever stop doing drugs. I feel so defeated and tired of this fight. I give up.” When I saw the mom a couple of months later, she looked brighter and seemed less burdened. She told me that she and her husband had started going to Families Anonymous where they met other parents dealing with the same issues with their children. She told me that she had learned the difference between giving up and letting go. Surrendering and letting go are very common concepts in the field of addiction and mental health. Time and time again, addicts and alcoholics tell their story of me finally surrendering and fighting to control their disease, when true miracles occurred in their lives; some instantly and others over time. “It is releasing as opposed to dropping something of someone”. For more information on our Women’s Support Group, contact Pam Newton at 214-284-4080 or newton@i360life.com. 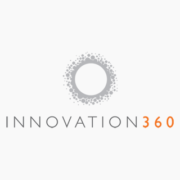 https://i360dallas.com/wp-content/uploads/2016/08/001-Innovation360-Dallas.png 320 720 administrator https://i360dallas.com/wp-content/uploads/2016/05/Innovation-360-main-logo-final-300x138-2-300x138.png administrator2016-05-04 19:55:252016-08-26 18:51:12Giving up or Letting Go? Through my work in individual and marital therapy, I frequently hear many similar complaints from different patients. These complaints include feeling lonely, unexpected bursts of anger, bouts of unexplained sadness, and a general feeling of disconnect. These bothersome feelings puzzle my patients and often leave them drained and frustrated. Sometimes, they understand that their lives are out of balance, but don’t understand exactly how or why. Normally, one or more of the following four idols are present and help cause a relational disorientation or blurriness. These idols cause a shallowness in life. While you might believe that you maintain deep, healthy relationships, I challenge you to read on and reevaluate the way you have structured your life. Have the following idols limited your capacity to truly know others and be known by others? Healthy, face to face interaction with others fulfills a deep need in us-the need to be known and know others. This is doing life with others. By failing to do life with others and allowing them to see all your insecurities and fears, you deprive yourself of something life giving…something deep and sacred. Your highlight reels may entertain and amuse others, but your blooper reels connect and bond you to others. 2. Work. There is nothing more heart wrenching than seeing a man retire, reflect back on his life, and realize that rather than love, support and strengthen those around him, he spent his life slaving away at a career that left him alone to die by himself. His sons and daughters resent him and only visit him sparingly. I’ve seen the dread in men’s eyes as they realize there are few people on the face of the planet who would care if they were rotting in a casket or not. Amassing wealth and power provide many with identity and security, but eventually leave them broken, alone, and hurting. 3. Your spouse. There are 2 prevailing themes in every romantic Hollywood movie: 1) Love is a feeling. 2) Loving someone will somehow magically and drastically transform your life, your loneliness, and your brokenness. Both are blatant “Bachelor-esque” lies and both create heavy, illusory expectations that couples are crushed by. Just look at our US divorce rate. Love is a choice…a decision we choose to make day in and day out. It has little to do with a passionate, dramatic kiss in the pouring rain or a magical moment where two soul mates lock eyes and “fall” in love. Finding meaning and contentment has nothing to do with your spouse. That aching need to feel fully accepted and loved will never be filled by your partner. And, the harder you try to place your partner in that role, the more they will resent you and be crushed by the weight of being your “everything.” Jerry Maguire was wrong. You don’t complete me….